South Downs Leisure aim to provide a wide range of activities to meet the needs our of local community. We have specialist changing, toilet and showering facilities within Splashpoint and Worthing Leisure Centre. Additionally, there is a hoist within Splashpoint Leisure Centre allowing easy access in and out of the pool. A fun trampolining session for young people with disabilities and their siblings. Sessions are instructed by fully trained and experienced coaches and an accessibility hoist is available. Out There! West Sussex is a sports and leisure project for adults 16+ with learning disabilities. 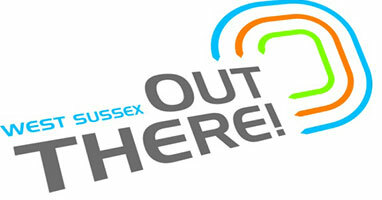 Out There run two clubs at Worthing leisure facilities. Out There! West Sussex aims to give a professional delivery of sport and leisure for adults with learning disabilities across West Sussex, combining expertise in health and social care and sport. (These activities are at cost to participants and people requiring 1-1 support will need to bring that support to sessions). Activities include: Trampoline, Badminton, Boccia, Football, Dance classes, Music group, Sensory room, Arts and crafts and Beauty salon. To join or for more information contact the Out There! team on 01293 544773 or Richard DeNiese on 07950 774641. This group is for anybody who is disabled and can propel themselves in a wheelchair or has partial trunk or leg function. The group has a pool of racing chairs and offers training on the days shown. They meet at the track at Worthing Leisure Centre and have competitions throughout the year. If you are interested, please contact Claire Moyle. This group is for anybody 8+ who is interested in athletics and has a disability. The group train all year round on Tuesdays 5pm to 6pm on the track at Worthing Leisure Centre. We train in jumps, throws, sprints and middle distance and compete regularly from February to November. For further information in regards to all activities on offer or to discuss any particular needs or access requirements, please give us a call. The majority of activities taking place within our centres are all inclusive. However, if you have a particular need we should be made aware of, please give us a call in advance.